Thuha Nguyen grew up in Chicago, Illinois. In 2009, she moved to Houston, TX to help her family recover from Hurricane Ike. After calling Houston, Texas her new home, she obtained her law degree at South Texas College of Law. During her legal career, Thuha worked for several law firms and organizations, aiding the unfortunate and those in need of legal help. At South Texas College of Law, she was appointed as president of the Animal Legal Defense Fund and Asian Pacific American Law Student Association, in which she helped raise thousands of dollars for a variety of Houston-based charities. 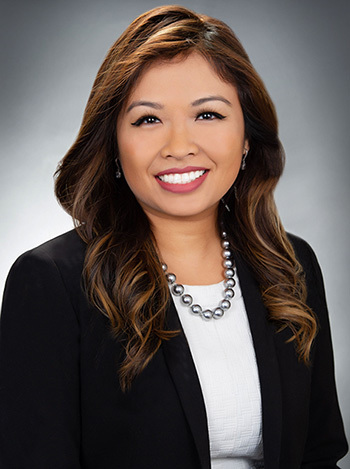 Thuha enjoys fishing, and volunteering for various organizations including Hurricane Harvey Relief Clinic, Houston SPCA and Houston Volunteer Lawyers. She joined Sutliff & Stout, Injury & Accident Law Firm in July 2017 where her passion is to make a positive difference in every client she meets.